Movable clamp allows anchorage at puncture site regardless of depth of catheter, which minimizes trauma and irritation to the puncturing site. Depth marking assists in accurate placement of central venous catheter from the right or left subclavian or jugular vein. Soft tip reduces trauma to vessel, minimizing vessel erosion, hemothorax and cardiac tamponade. 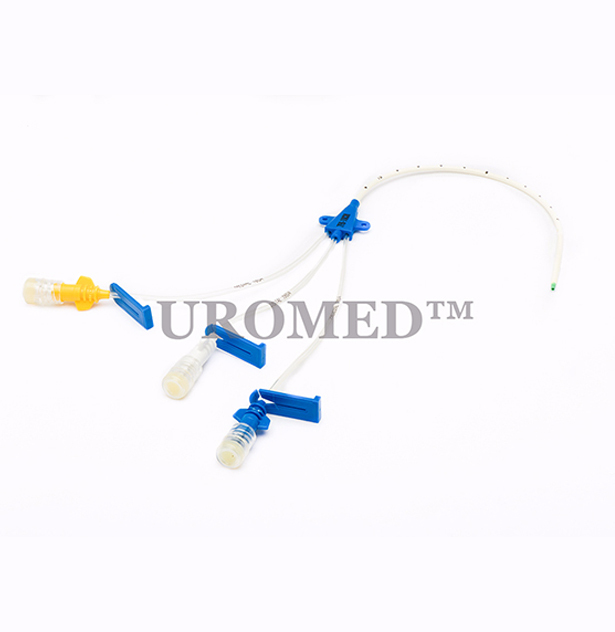 Central Venous Catheter, Guide-wire, Vessel Dilator, Clamp, Fastener: Catheter Clamp, Introducer Needle, Introducer Syringe, Injection Needle, Injection Cap, Scalpel.